The National Academy of Medicine (NAM) has elected Deborah W. Bruner, RN, PhD, and K.M. Venkat Narayan, MD, MSc, to its 2016 class of leading health scientists and international members. The NAM was formerly the Institute of Medicine. Election to the NAM is considered one of the highest honors in the fields of health and medicine and recognizes individuals who have demonstrated outstanding professional achievement and commitment to service. With Drs. Bruner and Narayan Emory now has 27 faculty who have been elected to the National Academy of Medicine. A full list can be found at: http://whsc.emory.edu/home/about/components-and-figures/faculty-distinction/institute-of-medicine.html. Deborah Bruner is the Robert W. Woodruff Professor of Nursing at Emory’s Nell Hodgson Woodruff School of Nursing, associate director of faculty mentorship, training and education at the Winship Cancer Institute of Emory University, and professor in the Department of Radiation Oncology at Emory School of Medicine. As an internationally renowned cancer researcher, scholar, and mentor, she has worked for over two decades with the National Cancer Clinical Trials Network and as a principal investigator of NRG Oncology. 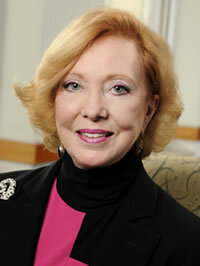 Bruner is the first and only nurse to lead a National Cancer Institute sponsored clinical trials cooperative group. She has been continuously funded in leading multi-disciplinary teams in patient-reported outcomes (PROs), sexual health, large national clinical trials focused on understanding and improving symptoms, as well as studies seeking to improve minority accrual to clinical trials. Her work has led to numerous honors and awards. K.M. Venkat Narayan is Ruth and O.C. Hubert Professor of Global Health in the Hubert Department of Global Health and director of the Emory Global Diabetes Research Center at the Rollins School of Public Health. He is one of the world’s leading researchers on type 2 diabetes. 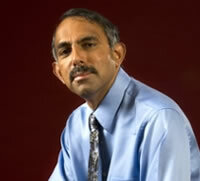 Prior to his time at Emory, Narayan spent 10 years at the U.S. Centers for Disease Control and Prevention, leading science efforts in his role as chief of the Diabetes Epidemiology and Statistics Branch. He was also an intramural researcher at the National Institute of Diabetes and Digestive and Kidney Diseases, and worked on the first diet-exercise intervention study in the Pima Indians. His research has focused on the epidemiology of type 2 diabetes, and on large national and international intervention studies to prevent and control the disease, and to translate science into practice and policy. Known for his interdisciplinary work, he is currently also exploring intriguing differences in the pathophysiology of type 2 diabetes in South Asian and other developing countries' populations globally. Narayan is a member of several international and national committees on type 2 diabetes and other non-communicable diseases and most recently won the American Diabetes Association’s Kelly West Award for outstanding achievement in epidemiology. He is the Danish Diabetes Academy visiting professor at the University of Copenhagen.